As today is a special day – the release of the anthology itself I’d like to welcome back Janet Morris. *Who are you? I am Penthesilea, queen of the Azzi lands, what you would call an Amazon. I have two breasts, by the way, as do my sisters. Why are you embarking on this quest? This dragon hunt is meant to rid Paeonia of this plague of dragons, and that feat, if successful, will keep them from overrunning Azzi-Hayasa, where I rule. But I am here not for dragon claws to wear around my neck, or for the glory of beating these self-proclaimed dragon eaters at their own game, but because when hunting I killed my beloved sister, Hippolyta. Therefore, my quest is for honorable death in battle, not scaly trophies. I can find what I seek here, if the gods allow. If not, I’ll find it on the beach at Ilion, where I’ve been invited to join in the defense of Troy against the Danaans. *Tell us about dragons in your lands. Dragons are fearsome legged serpents, pestilential, destroyers of flocks and crops. What is the political system of your land? I am now queen of the Azzi lands, ruled by women since Aegaea’s time. I am daughter of Ares and Otrera, and with my sisters we rule and defend our people – mostly women; we keep only the best of men as breeding slaves; when we bear male children, we send them to their fathers or expose them on hilltops. Homer and his ilk call us Antianeirai (‘those who fight like men’). We tamed the first horses and invented the use of cavalry forces. Do you have a family? My sisters born were Hippolyta, Antiope and Melanippe, all of us daughters of the god of war and Otrera. We Azzi warrior women are dwindling in numbers. Soon we will be gone. Some say I am the bravest queen and warrior ever among us, even , but now I am the most bereft. What is the best way to kill a dragon? The best way to kill a dragon is band together to stab him in the eyes or through the throat. Since I’ve come here I’ve slain a dozen, along with the other dragon eaters gathered for this competition. Do you see yourself as a hero? What is a hero? A hero is one who so distinguishes herself in battle that she dies honorably, or lives while she destroys a mighty enemy for the pleasure of the gods and the safety of weaker mortals. Author questions: Heroika: The Dragon Eaters is a dark heroic fantasy – as all heroic fantasy was by definition dark until recent times. The heroic model fascinates me: moderns call it species altruism, but heroic models and heroic ethos have been with us since the earliest days of humanity. In writing heroic fiction and heroic fantasy, I am delving into the commonality of humans at their best – and sometimes at their worst. Many great heroes of literature and history have been deeply flawed, yet their heroism made them role-models to generations. How much research did you need for your story? I always research everything I write; even if I am writing alternate history or science fiction, or a book that is primarily allegorical, I am human. I can only write about what humans know about. And what humans know best is the testing that defines them and makes them unique. Our human condition, which always ends in death, is the song we all must sing. Learning about how others perceive life and death, eschatology, if you like, is a study I find endlessly fascinating. And, as a writer, I take the paths that other writers have taken – research historical models on which to build fantastical characters, or recount the stories of human history in my own way. The more I learn, the more I realize that history and fantasy are two sides of the same coin; for me, heroic fiction is the edge of that same coin. Have you written for anthologies before? How does it differ from writing a novel? I enjoy conceiving and writing for anthologies that have a defined nature and/or objective. The limitations of short fiction then become its greatest strengths – the writer as hero answers the call to duty: to tell a story that might well be true, or might once have been true, or might someday be true. What other novels/short stories have you written? I have written books and stories about heroes who are historical, mythological, legendary, and fantasies of my own creation. These include the Sacred Band of Stepsons series, the heroes in Hell series, the biographical novel of Suppiluliumas 1 of Hatti, I, the Sun, the Silistra Quartet, Outpassage, as well as stories for Thieves’ world, the iconic fantasy shared-universe into which I brought legendary and historical characters. What are you reading? King Lear, by William Shakespeare; The Western Canon by Harold Bloom. How important is the fantasy genre to our society? The fantasy genre goes back as far as the legend of Gilgamesh and comes with us on our journey of mental and spiritual evolution. Every great writer has written fantasy or prose with fantasy elements, which help us explore our humanity. Tell us one unusual fact about yourself: I like music, literature and horses better than people. 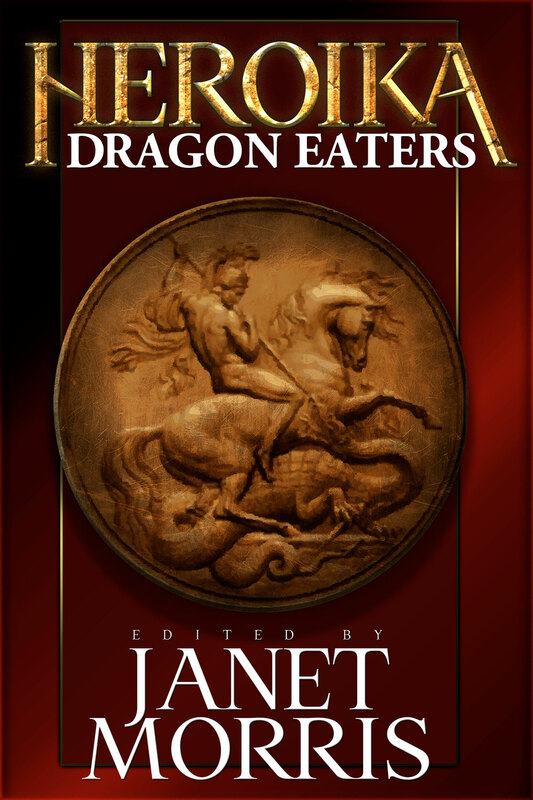 Tidbit: Both the stories written by Janet Morris and Chris Morris for Heroika 1: Dragon Eaters are historically/mythically based. The First Dragon Eater is a synthesis of the various versions of the Hittite and Hurrian Illuyankas myth rendered in story form – and arguably the earliest myth about dragons (with the possible exception of references in Gilgamesh, which were not actual separate myths). The second story, “Bring Your Rage” is based on Rhesos of Thrace and Penthesilea as they appear in Homer’s Iliad, and closely related to the authors’ novel in progress, Rhesos of Thrace. Rhesos himself is closest related to the ancient hero cult, Heros equitans, and the various early carvings in what was once Thrace. Beyond Series Relaunch! Heroic fantasy at its best. 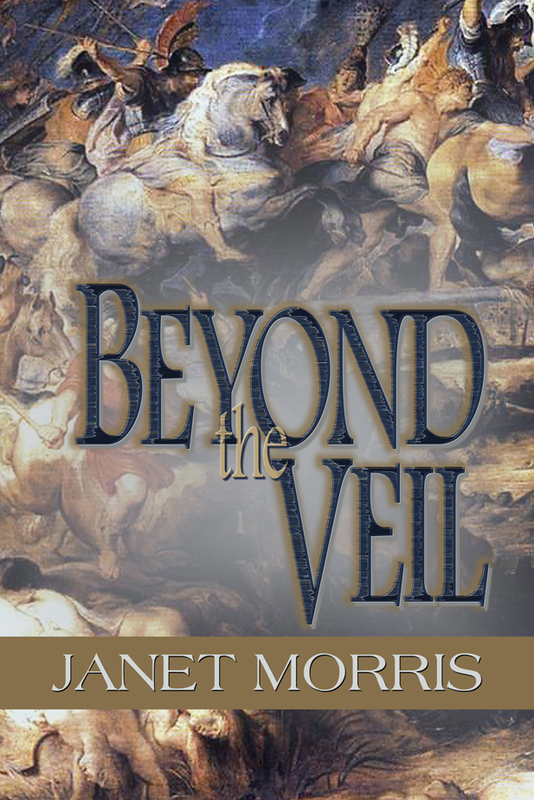 Just in time for the holidays, Perseid Publishing is proud to announce the relaunch of The “Beyond” Trilogy by Hugo nominated author Janet Morris. 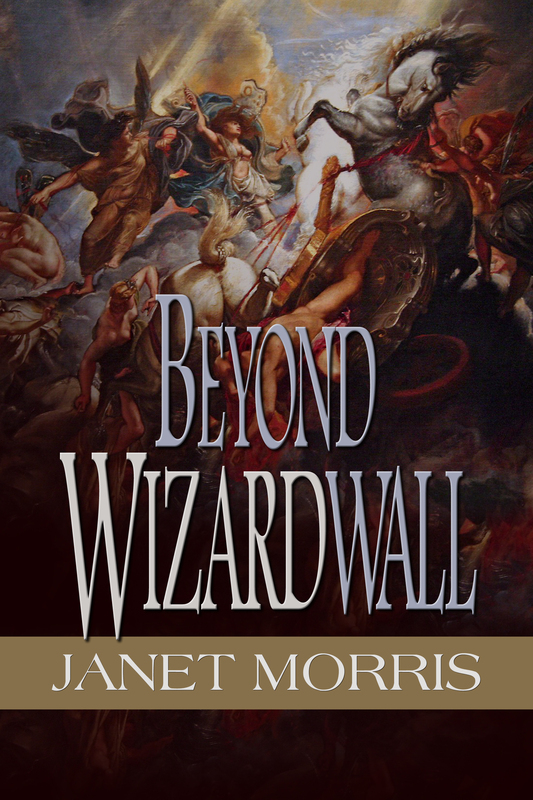 The trilogy consists of fantasy classics Beyond Sanctuary, Beyond the Veil and Beyond Wizardwall which have never before been available as e-books. The re-launch is considered the definitive editions of these books as it includes over fifty thousand words of additional scenes and insights. A re-release featuring substantial re-writes was made necessary by the proliferation of these volumes on pirate web sites throughout the internet. It is the hope of Perseid that fans of Janet Morris (and of fantasy in general) will choose this superior, complete edition of these works over the unlawful versions that already exist online. 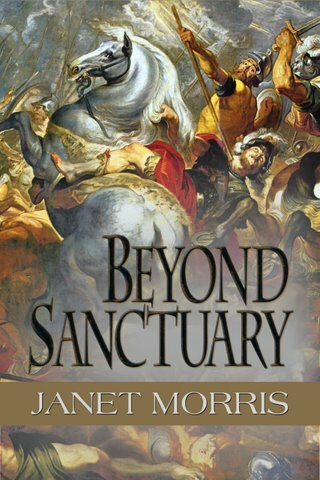 The “Beyond” trilogy marks the beginning of the novel length stories that take place in the Thieves’ World universe, and makes a fine starting place for readers who are unfamiliar with the work of Janet Morris. Prizes are varied and include CDs, books, and much more.